Too Much Skunk In Your Junk: separated at birth? is it just me, but does this pic of eli manning look like john krasinski from the office? mommy, why is the guy from license to wed wearing a giants jersey? 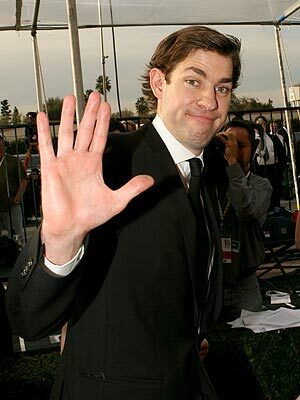 So are you suggesting that John Krasinski is the long-lost fourth Manning brother? Or is Eli not really a full-blooded Manning? OMG i thought the same thing! They definitly look alike. My mom thinks its the nose.... i love both of them! denim blazer: have you seen me?